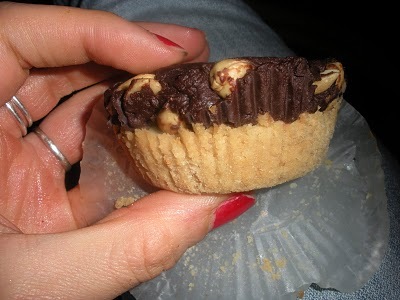 Make your own chocolate peanut butter fudge cups for a tasty treat. Cream together the butter, peanut butter, and sugar. Add the flour. Press into a lined muffin tin, evenly dividing the batter between the 12 cups. Bake at 350F (180C) degrees for approximately 16 minutes, or until the shortbread is lightly browned. In a saucepan, melt the butter, milk, and chocolate chips, stirring until smooth. Remove from heat and add the vanilla and nuts. Once cooled, spoon the fudge on top of the shortbread. Allow to cool and set. These fudge cups can be stored in Tupperware container at room temperature for about seven days.